To the young Adrian Fu, his grandfather was evidently a successful businessman – being the first to make the family fortune – and a modest and generous man. But it was not until long after his grandfather’s death that Adrian, whose duty it is now to oversee the family’s investment portfolio, discovered just how generous. In his lifetime, Mr Fu Tak Iam not only created wealth but also gave away large sums of money wherever he saw need, no matter that the hospitals, schools and other projects he funded did not bear his name. The depth of his legacy so inspired Adrian that he has set up a family foundation to honour his grandfather. Since its establishment in 2007, Fu Tak Iam Foundation has supported a range of causes, from poverty alleviation and health care to education and environmental protection. Its financial assistance has enabled selected NGOs to reach out to many more people in need, and facilitated rehabilitation and training programmes both in Hong Kong and on the mainland, benefiting many individuals and families in the region. Today, the Foundation is striking out on a new venture. In the spirit of his grandfather’s willingness to go where the needs are, Adrian wants to take the Foundation he chairs in a new direction, so that it may better fulfil its commitment to improve the quality of life for Hong Kong people. 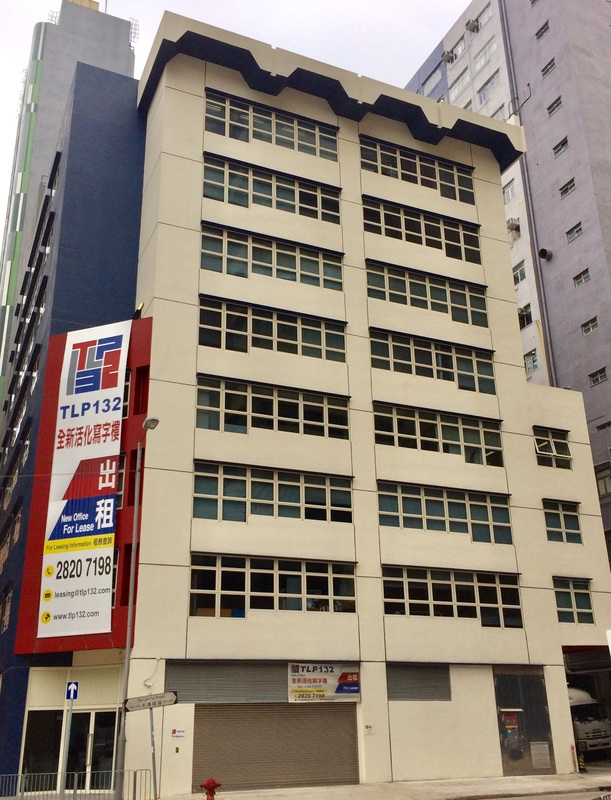 In response to the government’s encouragement to developers to revitalize industrial buildings for community and commercial use, the Foundation has turned an eight-storey industrial block in Kwai Chung into a space for business and non-profit groups. The intention is to address head-on a key challenge for many service providers in Hong Kong – high property prices and unaffordable rent. “Hong Kong being such an expensive city in terms of renting premises for NGOs, we thought perhaps one of the more effective ways of giving money is to try and help them set up their offices,” Adrian says. Selected NGOs are offered a lease of five years at a fixed, subsidized rent. This provides some welcome stability for their operation. So far, four organisations have taken up residence in the spruced-up space: Caritas Hong Kong, Against Child Abuse, Institute for Rural Development Hong Kong, and Hong Kong Cancer Fund. More will join them, as the review of applications continues apace. The location of this home for the NGOs was picked after careful consideration. First, the Foundation zeroed in on the Kwai Tsing area because of its great need for social services. The district houses the third-largest population of low-income families in Hong Kong, is ranked the third lowest in residents’ education level, and has a high concentration of elderly people. The building itself – a seven-minute walk from Kwai Hing MTR station – is surrounded by residential flats and other community facilities, making it easily accessible. The building is known to the Foundation’s staff as Warm Shelter （避風堂）, taking after the project’s initial name. It signalled the intention of its founders to provide a safe haven to those who need it. Renovations for Warm Shelter were completed in early 2016, at the cost of HK$71 million. The refurbishment works were extensive. A major redesign involved moving the core of the building – consisting of the lifts and staircases – to the back of the building to allow for windows to be installed on three sides of the building, letting in as much natural light as possible. The ventilation system was also improved. The overall result is that, in cooler weather, the windows could be opened to let in some fresh air. Having been built for machines, the building has now been remodelled with people in mind. The Foundation plans to draw a 50-50 mix of commercial tenants and NGOs, so that market rent from the former could help to pay for the rent subsidy for the latter. If this pilot project proves successful, the foundation would be keen to replicate this model of philanthropy in other districts – provided there are opportunities to do so. Q: Could you tell us more about the idea behind the project? A: We try to identify the needs of NGOs in Hong Kong, and one of challenges facing them is the cost of renting premises. Hong Kong being such an expensive city in terms of renting premises for NGOs to provide services, we thought perhaps one of the more effective ways of giving money is to try and help them set up their offices. Since I have been involved in real estate for a long, long time, I thought that I could identify the locations where most NGOs would focus and we would start from there, and look for opportunities there. This came by because of the government's recent regulation to allow developers to revitalize industrial buildings, so we thought this would be a good start. Q: So you actively looked for a building that would suit? A: Yes. First, we identified the most impoverished areas in Hong Kong – there are many – and Kwai Chung happens to be one of the identified areas. We would dearly love to do something in Sham Shui Po, but it's easier to start in Kwai Chung, where there are industrial buildings, than in Sham Shui Po. Sham Shui Po is full of old tenement buildings, and to assemble a number of these buildings would take a long time, and you’d have to negotiate with various organisations and so on. The only quick way to do it is to come to a deal with the Urban Renewal Authority. Actually, we spoke with the URA and officers there explained the difficulty of doing something like this and told us it would take time. So, instead of waiting, we decided to proceed with a pilot project in Kwai Chung. Q: How did you find this particular building? A: We went through various agents and felt this building was something we could afford. I had to use an investment vehicle to buy it, because obviously the foundation's funds have not been earmarked for this sort of acquisition. But then we came to an arrangement between the investment vehicle and the foundation, which is that the foundation would become the main tenant of this investment company, and then the “sub-tenants”, if you will, would be the NGOs. It's a tripartite arrangement. Q: It must have been exciting to find the building and then try to realize your vision for it. How did you envision the space to be? A: I approached it like any other investment project that I would redevelop. When we bought the building, it was clear that it was not a very efficient building. It was designed as a factory building with no ventilation or natural lighting, nor was the floor space efficiently arranged. The owners just wanted to put machines in there for production. So we took a look at the floor space and decided to move the core of the building, so that we can open up three sides of the building and install windows. There were very few windows. Most of the windows were blocked, such as by the core of the building, where they put the lifts and staircases. It was just the quickest and cheapest way of putting up the building. To move the core would involve quite a high cost. But by moving the core, we were able to create a building with windows on three sides and is user friendly. So now we can even allow people to open the windows when they don’t need the air conditioning. Q: Who will this building serve? A: First of all, we want to create a nice working environment, whether it is for NGOs or other tenants. So we started from the basic design concept. Then we had to worry about the cost. On the one hand, we want to subsidize the NGOs so we can’t charge them market rent. But on the other hand, we have an investment company that is looking for a minimum return on its investment. We have to look after both sides. To do that, we have to keep the costs of redevelopment as reasonable as possible. At the same time, we want to be able to attract commercial tenants as well as providing accommodation for NGOs. So part of the building would be rented out at market rate to commercial tenants, in order that we could generate enough income to subsidize the NGOs, so that the project could be sustainable. Q: What kind of services do you see the NGOs there providing? A: The services are targeted at the local people. We identified the social needs of the Kwai Chung and Tsuen Wan districts, and then we started interviewing NGOs that could provide services to meet those needs. Those NGOs are the first on our list. And they have to be sustainable, so to choose the ones we supported before would be a natural thing to do. The most important is to fulfil the needs of the local people in that area, which houses a large population. Obviously we can't put all the NGOs in there, but the priority is the most needed services. Q: This is a new initiative for the Foundation, from directly helping NGOs provide services to finding a home for them. Where does this fit into the Foundation's plans? A: It is a pilot project. If this works, we'll try to do more. There are other foundations that provide residential accommodation for people in need, so this is one way we try to take the most needed support to the NGOs themselves. NGOs tend to move about. They have to move when the landlord increases the rent and it becomes unaffordable. Consequently they can’t provide a long-term service to neighbouring residents. So we hope to be able to help them overcome that issue. The tenancy agreement is for a minimum of five years; we try to give them stability for five years. If it works, then we can look at extending the term. Q: The foundation will continue to support direct services. Will the foundation focus on both this as well as the rent subsidy in future? A: We have an annual budget, and we have to allocate our resources to this pilot project as well as the other applications for assistance. But if this proves to be successful, we would likely shift more attention to this sort of subsidy. Q: I can see how this would be useful, especially in the town areas. A: Yes. As I said, we would dearly love to do something in Sham Shui Po and other impoverished and densely populated areas, but the opportunities don't come about easily. We will continue to look. But once this project becomes a success, hopefully, we can then base our future philanthropic initiative on this model. Q: This and other projects that the Foundation supports come out of a desire to do something for society. On the founding of the Foundation, you spoke of how you went over your father's letters to try and piece together your grandfather's life. Can you tell us what drove you to do that? A: In the early part of my childhood, I spent quite a bit of time with my grandfather. Obviously at that time he would not explain his philanthropic initiatives to me. I only knew at the time that he donated large sums of money to various NGOs in Macau. I remember that he used to win a lot of raffle prizes because he bought all the tickets. And I would wonder why he didn't keep some of the prizes, because after he'd won the prizes he would give them back. I once asked him why he was being driven around in a very old car. His car was 15, 20 years old. He had won a new car in a raffle draw, so I asked him, “Why didn't you just use that car?” He just smiled at me and said, “Why don't you just think about buying a bicycle, instead of thinking of being driven around in a car?” I was a child then, and I was very keen on bicycles. He just thought that it was very funny, that I would ask him to keep some of the prizes that he had actually bought. After his death, I found out that there were many funded projects that came out of his donations, like schools and hospitals, and all sorts of things. It was taken for granted that because he could afford to give money to charities, it was his way of giving to society. But that side of his life was never explained to me. I found out only from records that were kept, from old newspaper clippings and so on. That was how I found out about his philanthropic initiatives. But his name never appeared in any of these hospitals and schools. That is why, with this Foundation, we never wanted to have our names on buildings, and naming rights and so on. This is the way I would like to remember him. My father was a huge admirer of my grandfather, although he never expressed that. But from all the records that he has kept about his own father, I came to realize the close relationship between the two of them. Q: That must have moved and inspired you. A: It would be nice to let my children and grandchildren know about their relationship, their character and what they did. Q: What do you find admirable about their character that’s important for the generations after to know? A: It's useful to know that it's not only about building a successful business and making money. It's about the application of wealth. Different people have different ideas about philanthropy. I didn't make the so-called first bucket of gold; it came from my grandfather. I think the legacy of my grandfather should be passed on to future generations. This is one way of doing it. Writing a book about him is another way of doing it. And that's what we're doing too.